Bio: Daniela grew up half of her life in the upper peninsula of Michigan, and the other half in Atlanta, Georgia. She loves cold weather and snow, even though she gets cold very easily, and she enjoys winter sports very much. Her favorite winter sport is skiing (downhill skiing and skate-skiing), but unfortunately, living in Georgia limited her chances to ski, for it rarely snowed. 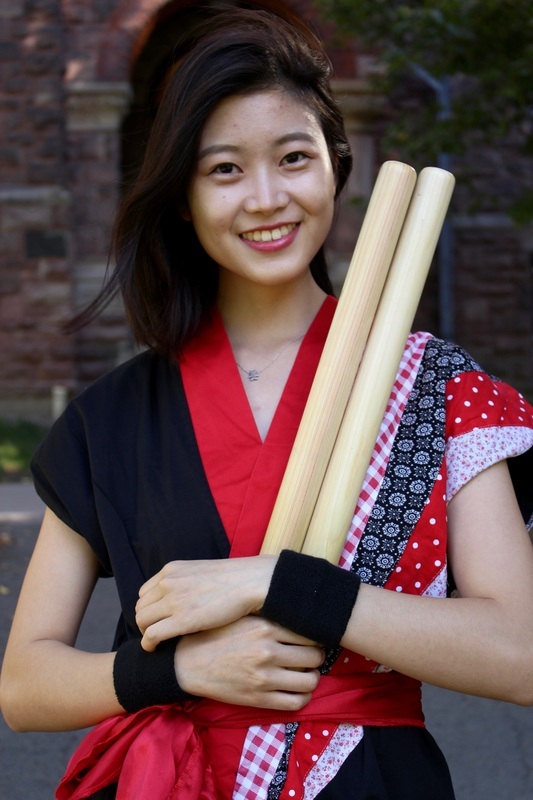 Once she came to Cornell, Daniela was initially going to join the alpine ski team, but one day, she came to Yamatai auditions (after seeing Yamatai's performance at clubfest) and developed a new interest for taiko drumming. Daniela has had little exposure to any form of rhythmic drumming, so she was extremely nervous during auditions. Now, Daniela is very happy to be a part of Yamatai, and she thinks that joining Yamatai has to be one of the greatest choices she has made. Likes: Rain, fireworks, handwritten letters, traveling, soft piano music, flowers, large cities, fast roller coasters, peachrings, Ghibli films, city lights, snowy winters, bubble tea, sleeping, staying up late, video games, the smell of books, action movies, and tumblr.